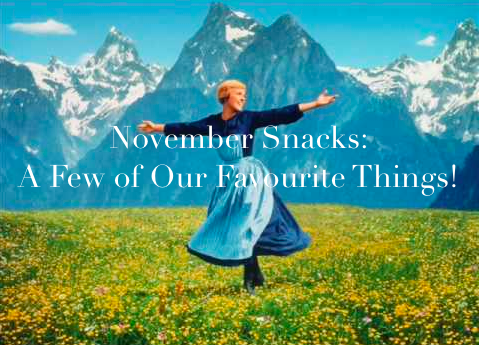 In November, we looked to our snack-loving staff to provide inspiration for the menu at Buddings Broadway. Inspired by the Julie Andrews song A Few of My Favourite Things, the teachers took turns making their own favourite dishes with the kids. 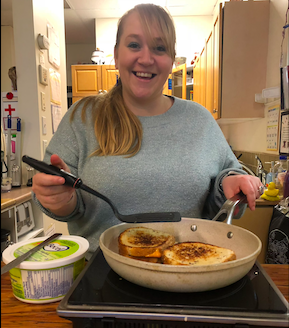 Blueberry pancakes And cornbread with baked beans Veggie quesadillas and fresh strawberry tartines Smoked tofu with rice – stir fry fit for a king These are a few of our favourite things! Chocolate chip waffles and crispy fried noodles Pineapples and oranges Fruit salad of nature’s jewels Avocado toast that’s easy on your purse strings These are a few of our favourite things! Organic ketchup with golden brown home fries Crudités plate with veggies cut lengthwise Apple crisp with vanilla Greek yogurt topping These are a few of our favourite things! When it’s snack time And we’re hungry When we’re feeling sad We simply remember our favourite things And then we don’t feel so bad! Oh my, was that ever fun! Join us in December to see how our favourites fit in with Canada’s Food Guide! Do you have a favourite snack you think the kids of Buddings would enjoy? Email sarah@buddings.ca!